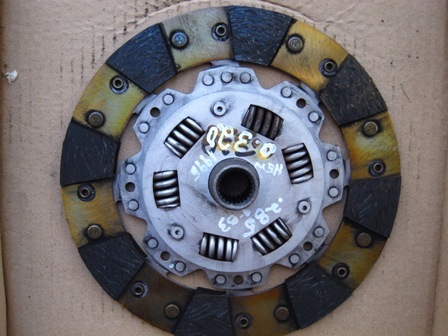 There are two 911S clutch/flywheel combos. 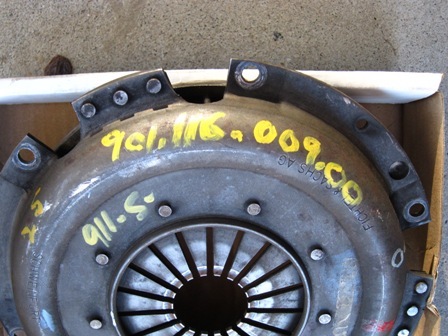 The 1967 911S used a copper faced flywheel with a copper faced steel pressure plate and a standard friction disc. In 1969, the 911S used a steel faced aluminum pressure plate with a thin friction disc, and a standard flywheel. these PP's were a lot "stiffer" to push, and back-in-the-day there were some reports of folks tearing out the firewall on 914's using them - I never had a problem, but maybe Dworazik had reinforced that area when the car was built ?? how bad do y'all want one?